People who start a business as a sideline job are called “second job entrepreneurs” by the Bureau of Labor Statistics. Nobody knows exactly how many people fall into this category, but there are likely millions. Second-job entrepreneurs do so to earn extra money or because they enjoy the work. But a sideline business costs can introduce some difficult tax situations. If you have a sideline business that’s separate from your job or main business and your expenses exceed the income from your sideline activity, you face a special tax challenge from the IRS under the “hobby loss rule.” This rule limits write-offs from the sideline activity. While there’s no absolute way to avoid an audit of your sideline activity, there are things you can do to minimize your chances of being selected for audit as well as ensuring a happy outcome if you are audited. Understand what the rule is and what you can do to escape its application to your sideline activity. The tax law says that if you engage in an activity with no profit motive, it is considered to be a hobby. As such, expenses from the activity in excess of income from the activity cannot be deducted. They are lost and gone forever. There’s more. Expenses (up to the amount of income) are deductible only as miscellaneous itemized deductions. This means they are deductible (1) only if you itemize; and (2) only if they exceed 2% of your adjusted gross income. Expenses that are claimed as a deduction are not allowed for alternative minimum tax (AMT) purposes. The AMT is a tax affecting about four million taxpayers, and anyone with a hobby activity may find themselves subject to the tax, or paying more because of their activity. You cannot deduct your medical insurance as an adjustment to gross income even though the coverage relates to your sideline activity. The insurance is only deductible as an itemized medical expense. The hobby loss rule does not apply if you have a reasonable expectation of making a profit from the activity. Clearly, you don’t have to give a guarantee to the IRS or anyone else that you’ll be successful; in business there are no guarantees. But you can’t operate solely for personal reasons, without regard to financial considerations. Rely on a presumption. If you can show that you’re profitable in three out of five years (two of five years for certain horse-related activities), the IRS will assume you had a profit motive all along, even though you had some loss years. To use this presumption, you have to file a form (IRS Form 5213) for the first year of your business. This delays any IRS audit until the end of five years. Demonstrate motive. Instead of asking that the IRS not examine you for five years, simply operate as if you have a profit motive. Then, if you’re ever selected for audit, you’ll show that your activity is a business and not just a hobby. Form a C corporation. 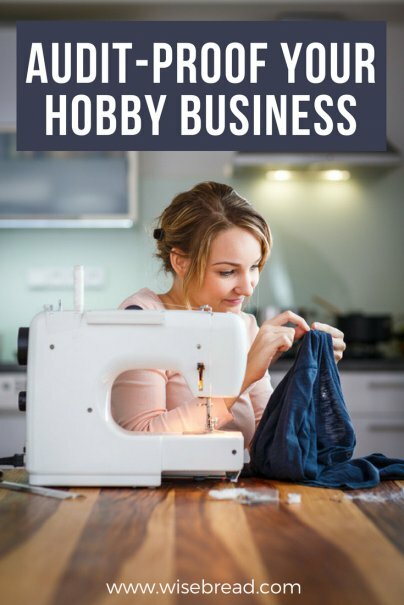 A regular corporation is not subject to the hobby loss rule; all other types of business entities, including Schedule C businesses, limited liability companies, and S corporations, need to be concerned about the hobby loss rule if they’re not profitable. Don’t rely on the presumption. Filing Form 5213 guarantees that the IRS will examine your returns for all of the years in the presumption period, so don’t use it. Operate your activity like you mean business. This means keeping good books and records and maintaining a separate business bank account and credit card (apart from your personal finances or those of any other business). Have a business plan. Apply analytics to your performance. Work with professionals and continually try to achieve or improve profitability. No single factor shows a profit motive, but taken together they can demonstrate that you’re running a business and not a hobby if you are selected for audit. If you’re up for some “light reading,” you can view the factors that the IRS uses to determine a profit motive by checking the IRS guide. This is the guide used by IRS auditors for hobby loss challenges. Also work with a CPA or other tax advisor to help you stay off the IRS’ radar or to be successful if the IRS challenges your deductions.